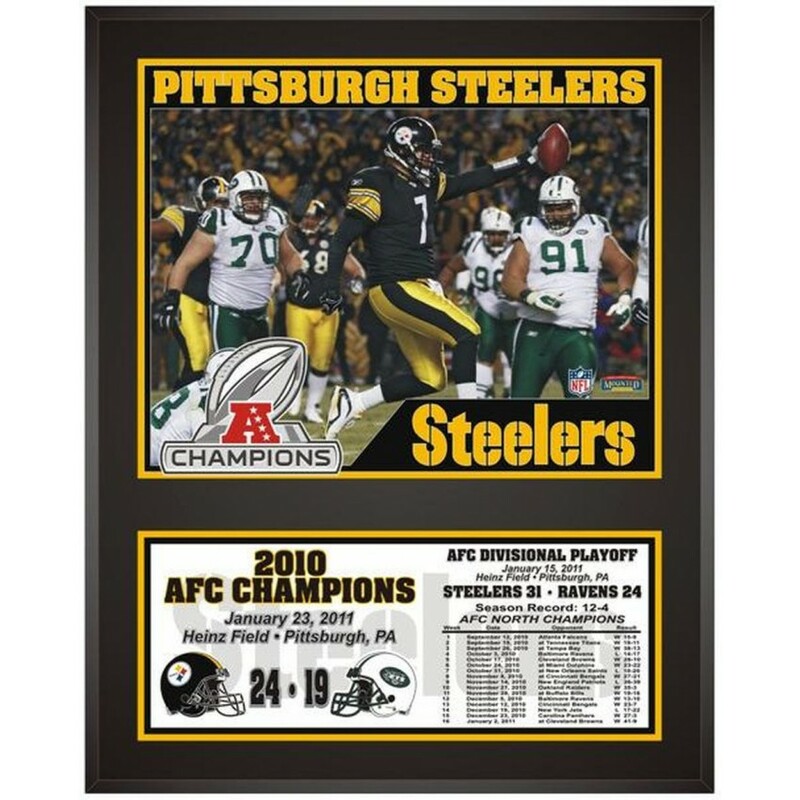 Celebrate the Pittsburgh Steelers as 2010 AFC Conference champions with this plaque. Each collectible comes with a photograph from the Championship Game and descriptive text with season and playoff information. This product is officially licensed by the National Football League. It measures 12'' x 15'' x 1'' and comes ready to hang in an any home or office. This Dallas Cowboys Riddell replica throwback helmet has been personally hand-signed by Hall of Fame.. This jersey has been personally hand-signed by slugger Pete Rose with the inscription "HOF ??." It i..
Each of these collectibles comes designed with three photos and a team logo. This collectible featur.. This Fanatics Authentic® New Jersey Devils sublimated 12" x 15" plaque is the perfect addition t..
Now display your pucks like never before, in the absolutely incredible and U. S. Patented floating c..
Relive the memory of the New York Giants winning Super Bowl XLVI over and over again with this 12" x..
Each collectible comes with a player image, logo, player number, home stadium image sublimated onto ..